Two big holders for drinks, keys, etc. Offering a top speed of 16 km/h and an adjustable incline of up to 10 %, the Darwin treadmill TM40 is optimal for easy running sessions or walking with a varying incline. Thanks to its compact dimensions, it can also be placed in smaller fitness rooms or in the living room. The practical clue: after the training, the running surface can be folded up and the treadmill can be moved thanks to the transport wheels. Good material quality and a solid, well-thought out equipment make the running training at home very comfortable. That's how the Darwin TM40 is quite easy to use, the choice between 32 running programmes is very easy and speed and incline are well to adjust via the hot keys while running. There are, for instance, 24 pre-defined programmes, for which incline and speed can be pre-defined for every section. The profiles are clearly displayed on the cockpit. Of course, a manual mode is available as well, which is the closest to running in the open air. 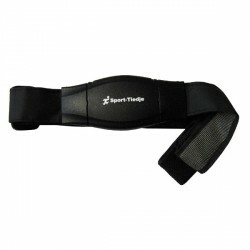 Heart rate programmes are integrated for a very effective training. Depending upon the optimal pulse zone for your training target, the computer adjusts either speed or incline. With respect to the equipment, the Darwin treadmill TM40 outdoes the competitors in its price category. The TM40, for instance, is equipped with a fan with two speed levels, which provides some refreshment while running. On the side, there are also a USB-A-connection as well as an audio-input. The USB connection serves to charge your smart phone, for instance. The audio input (3.5mm audio jack) makes it possible to play some music via the loudspeakers of the cockpit. Super Gerät für Einsteiger und Leute die nicht zu schnell joggen wollen. Ich war positiv von der Verabeitungsqualität überrascht da ich auf dem preispunkt weniger erwartet habe. Wir klich optisch und technisch sehr gut. Auch einfache Bedienung und gut zu klappen. Zeer tevreden! Kan nog geen negatieve punten bedenken. 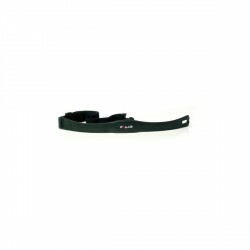 Wir haben uns dieses Laufband angeschafft um uns in der kalten Jahreszeit fit zu halten. Uns war bewusst, dass wir kein Sprinttraining auf dem Gerät abhalten werden, aber für unsere Ziele reicht es. Alles wie beschrieben. Preis-Leistung stimmt! Una excelente cinta de correr en la franja de precios que buscaba. Con una velocidad máxima de 16km/h, es suficiente para cualquier corredor medio. Además, como es plegable casi no ocupa espacio. Se agradecen también los extras, como el ventilador y el puerto USB para el móvil. Me la volvería a comprar sin duda! Sehr gutes Laufband, die Lieferung war prompt. Der Aufbau ging leicht von der Hand, die Verarbeitung ist gut. Der preis für dieses Laufband ist in Ordnung, nicht zu hoch. Meinne Frau und ich sind sehr zufrieden mit dem Laufband Wier machen beide Walking Es ist einfach gut. Taurus Protective Mat size XXL In stock! 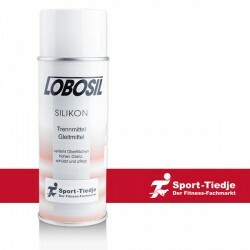 Sport-Tiedje silicone spray In stock! 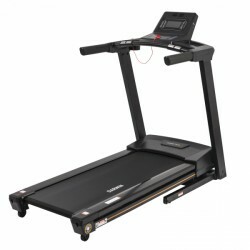 Darwin treadmill TM40 add to comparison list.